From short horse rides across farmland to multi-day horse treks through native bush, riding across rivers and horse trekking over beaches. Breathe in the spectacular NZ terrain, lush bush and stunning coastal scenery. Ready to browse some New Zealand horse treks? If you have a horse trekking business you would like to list on this guide please click here for information. This is where you edit your listing, add an extra listing, and do other exciting things. Northland Region New Zealand horse trekking in Northland - horse trek listings. Bay Of Islands Region New Zealand horse trekking in Bay Of Islands - horse trek listings. Auckland Region New Zealand horse trekking in Auckland - horse trek listings. Waikato Region New Zealand horse trekking in Waikato - horse trek listings. Coromandel Region New Zealand horse trekking in Coromandel - horse trek listings. Bay Of Plenty Region New Zealand horse trekking in Bay Of Plenty - horse trek listings. Eastland Region New Zealand horse trekking in Eastland - horse trek listings. Central North Island Region New Zealand horse trekking in Central North Island - horse trek listings. Hawkes Bay Region New Zealand horse trekking in Hawkes Bay - horse trek listings. Taranaki Region New Zealand horse trekking in Taranaki - horse trek listings. Manawatu Region New Zealand horse trekking in Manawatu - horse trek listings. 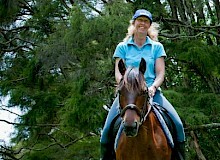 Wairarapa Region New Zealand horse trekking in Wairarapa - horse trek listings. Wellington Region New Zealand horse trekking in Wellington - horse trek listings. Nelson Region New Zealand horse trekking in Nelson - horse trek listings. Marlborough Region New Zealand horse trekking in Marlborough - horse trek listings. West Coast Region New Zealand horse trekking in West Coast - horse trek listings. North Canterbury Region New Zealand horse trekking in North Canterbury - horse trek listings. Mid and South Canterbury Region New Zealand horse trekking in Mid and South Canterbury - horse trek listings. Christchurch Region New Zealand horse trekking in Christchurch - horse trek listings. Otago Region New Zealand horse trekking in Otago - horse trek listings. 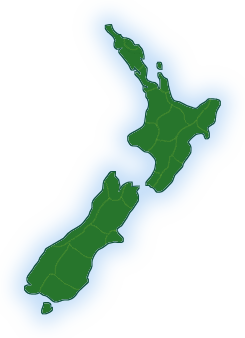 Southland Region New Zealand horse trekking in Southland - horse trek listings. Southern Lakes Region New Zealand horse trekking in Southern Lakes - horse trek listings.